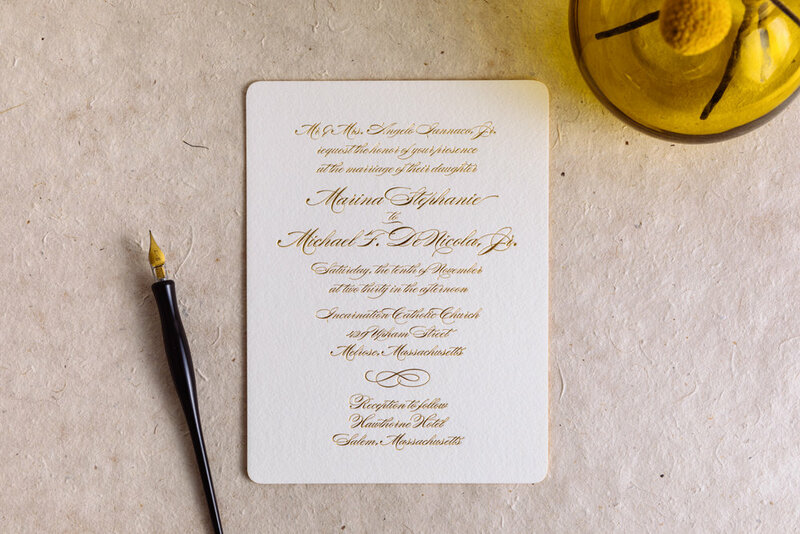 An elegant upgrade to our Fiallo invitation set, this one swaps in gold foil for matte gold ink, bumps the paper up to 600g Arturo, and adds rounded corners and edge paint. Posted in wedding invitations and tagged with Fiallo, gold shine foil, edge paint, Arturo, soft white, rounded corners, oversized. March 21, 2019 by Travis Friedrich.